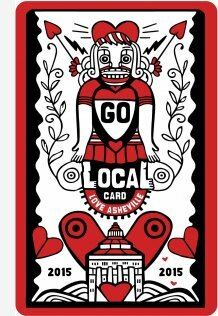 The Go Local loyalty card is one aspect of the greater Love Asheville -Go Local movement, which aims to empower local businesses and preserve Asheville's unique character by encouraging residents and visitors to think locally first. In 2014, with the participation of over 400 locally owned, independent businesses, the Go Local Card was able to raise $7,720 for our city's public schools, $8,240 for the Asheville City Schools Foundation (ACSF) and $7,825 for the Asheville Grown Business Alliance (AGBA). Thanks to the success of the card, in 2015 AGBA is able to assume the full responsibility of the Go Local Card initiative in 2015 so ACSF can pursue and grow other essential programs for our schools. 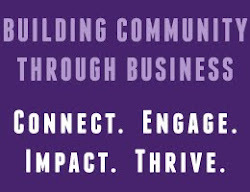 By streamlining the administrative costs, their goal is that local schools and businesses will see even more benefits from this community-wide fundraiser. Investing in the future of Asheville’s children and our local economy to build a strong and vibrant community is a priority for this program. The price of the 2015 card will be $16 with $8 going directly to an Asheville City Schools and $8 remaining with AGBA to administer and grow the program. Card sales start Dec. 1, 2014.
click HERE to sign on TODAY! For the 2015 card design they are spicing things up and are delighted to introduce Indie to our community. Indie is a playful character designed by local artist Jenny Fares of Sound Mind Creative in the River Arts District. A passionate advocate for our entrepreneurs and our local economy, Indie engages our community to find businesses who honor the 2015 Go Local Card. Starting Dec. 1, 2014 you will find these decals in the windows of participating businesses. With an artistic design that is full of heart and through stories and creative programs, Indie also helps connect our public schools to the movement. AGBA is also working with Alice Oglesby of io design & illustration and OnHaywood.com to launch a brand new, directory-driven website in October. With an elegant, simple and responsive interface, their goal is to professionally highlight businesses who have chosen to participate in this dynamic collective and to create an easily navigable site to accompany the card. As always, there is no charge for qualifying businesses to participate. Businesses will be featured on the new website. Those who sign on by October 30th, 2014 will also be listed in 45,000 copies of the Go Local Directory printed and distributed by the Mountain Xpress, 29,000 of which will be inserted in the December 3rd edition and the other 16,000 distributed in town and with card sales throughout the year.